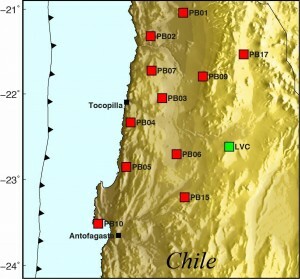 4- correlations between coseismic rupture, aftershocks and afterslip, interseismic locking and seismicity and the short-term rheological properties estimated from petrological, kinematic and seismological observables. 4- determination of the contribution, through space and time, of the various fluid/mass sources (ie, the dehydrating slab mantle, oceanic crust or sediments ± melts) to the overall flux of energy and matter at the plate interface. 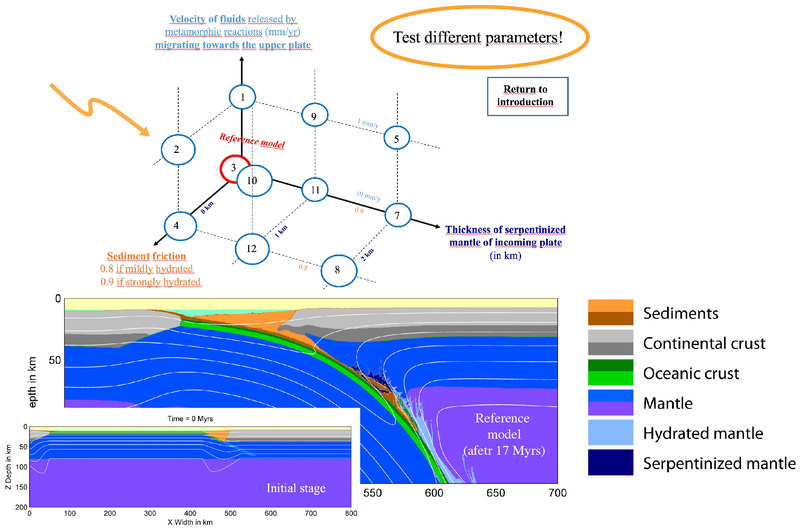 3- rheological behavior of the lower and upper (mantle wedge) plate boundaries and their evolution as a function of depth (ie, from strong to increasingly weak?) and time.